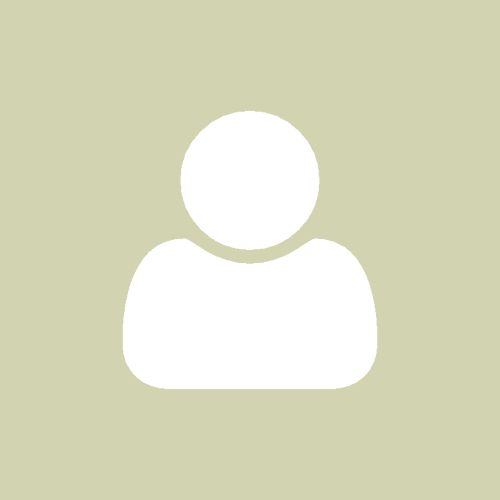 Home Blog Ukraine How Many Ukrainian Developers Are There, Really? How Many Ukrainian Developers Are There, Really? Recent data suggests that there are around 185,000 IT professionals in Ukraine (including 50,000 Ukrainian developers) — an impressive number which puts the country way ahead of the rest of Europe in terms of tech talent. But is that number real? We decided to not only find out how large Ukraine’s tech talent pool really is, but to dig deeper and explore the breakdown of different skills across the labor market. Why are we doing it? Because we know this is exactly the kind of information our clients were interested in before choosing Ukraine to set up their offshore software development teams. Before choosing Daxx, many of them had already tried to find the right candidates in India, Vietnam, the Philippines, South Africa, and other popular outsourcing destinations, only to find that local labor pools lacked the talent they were looking for. The majority of Ukrainian tech workers use LinkedIn as this is the place where they’re most likely to connect with peers and even get new job offers. We decided to use developers’ proclivity for the website to our advantage and use its people search function to collect raw data. We looked for current job titles which included one of the following words: “developer”, “programmer”, “software engineer”, “QA”, “tester”, or “designer”. We then typed different technologies in the search bar to get the breakdowns of developers by popular programming languages and frameworks. We employed the same technique to find out how many IT professionals there were in other countries to get a better understanding of where Ukraine stands globally. We realize that not every single tech specialist has a LinkedIn profile and that the percentage of LinkedIn users in other countries may be smaller than in Ukraine. That being said, our research does a pretty good job at showing you how likely you are to hire the right professional in Ukraine. Even better, it gives you an idea of how successful your recruiters are going to be if they use LinkedIn to search for talent, both locally and globally. We’ve also added insights from our very own experts, who clued us in on which skills are easy to find, and which ones are harder to come by in Ukraine’s largest IT hubs – Kyiv, Dnipro, Kharkiv. When it comes to tech talent in Ukraine, LinkedIn has profiles of 53,000 Ukrainian software developers, 11,000 QA/QC engineers and testers, and 8,000 designers. Our results support the data suggesting that there are 50,000 developers in Ukraine. The overall estimate of 185,000 tech workers is also likely to be true once we factor in professionals in other IT roles like executives, analysts, system administrators, project managers, and team leads. C/C++, Java, PHP, Front-end, and .NET developers are the most common among Ukrainian web developers. Oleksii Bezverkhyi, our HR/Client Manager from Kyiv, and Nina Alexandrova, the Branch Manager of our Dnipro office, agree that there’s no shortage of Java, PHP, Front-end, and .NET engineers. 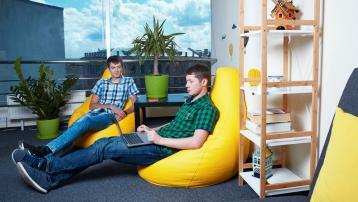 The pool of iOS and Android app developers in Ukraine is also pretty big. “We used to have a hard time with the MEAN stack (MongoDB, ExpressJS, AngularJS, and Node.js), but now these tools are pretty popular among Ukrainian developers,” says Oleksii. In fact, Ukraine ranks third and sixth globally by the number of Node.js and AngularJS developers respectively. All three of our experts agree that Ruby on Rails, Magento, and developers with experience engineering for the Cloud are toughest to find. We noticed that certain technologies are more widely used in Ukraine than they are elsewhere in the world. If you’re looking to hire developers with any of the following skills, Ukraine may well be the best destination. Ukraine comes third in the number of Node.js, PHP, Python, Symfony, Ruby, and ASP.NET engineers. We also ranked the world’s most popular technologies by the number of developers who use them in their current jobs and then ranked countries by the number of engineers who have the 4 most popular skills – Java, Front-End Development, PHP, and .NET. Looking to hire Java, Front-End, PHP, or .NET developers? Then you should definitely consider outsourcing to Ukraine. For each of the four technologies listed above, Ukraine ranks in the top 6 nations by number of software engineers who use it in their current position. Where Do Most Developers Live? Based on developer profiles per country, the largest numbers of programmers live in the US and India. Ukraine ranks 9th in the world in terms of the absolute number of software engineers who live there. 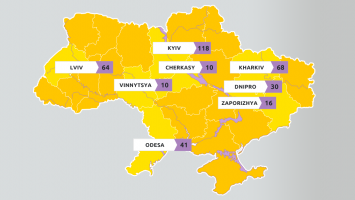 Ukraine closes out the list of top 3 IT outsourcing destinations, preceded only by India and China. The fact that Ukraine is the largest IT outsourcing destination in Europe is, overall, one of the most important outcomes of our research. Now that you’ve found out exactly how many developers there are in Ukraine, what skills they have, and how highly the country ranks globally, you’ll know that the bold claims about Ukraine being one of the best locations for hiring tech talent are, in fact, true. Ukraine’s abundant tech workforce is part of the reason why the country is home to over 100 R&D offices for global tech giants, including Boeing, Oracle, Magento, and Wargaming, and why over 300+ clients have decided to set up their offshore development teams in Ukraine with us. We connect businesses with talented Ukrainian developers, skilled in both popular and niche technologies. The software engineers you hire with us become your full-time employees, working from our offices and on our payroll. When you build an offshore development team with Daxx, you’re able to stay fully focused on managing your project, while we take care of office space, HR, staff retention, and all the administrative issues. We support you and your team on every step. Find out more about our model. To hire experienced offshore developers and set up a dedicated development center in Ukraine, contact us using the form below. How to Hire Offshore .NET Development Team in Ukraine. What to Look for in .NET Developers?